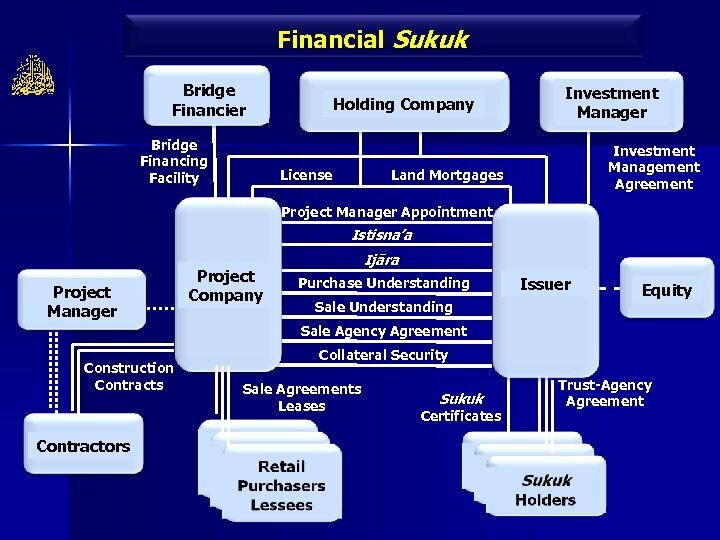 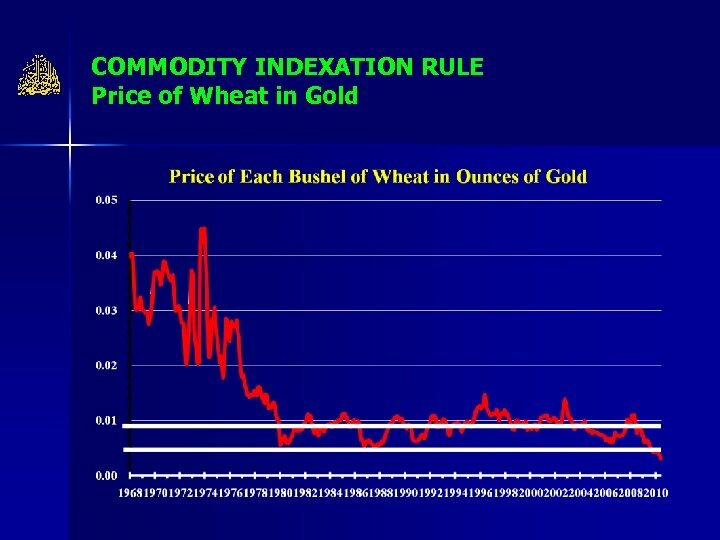 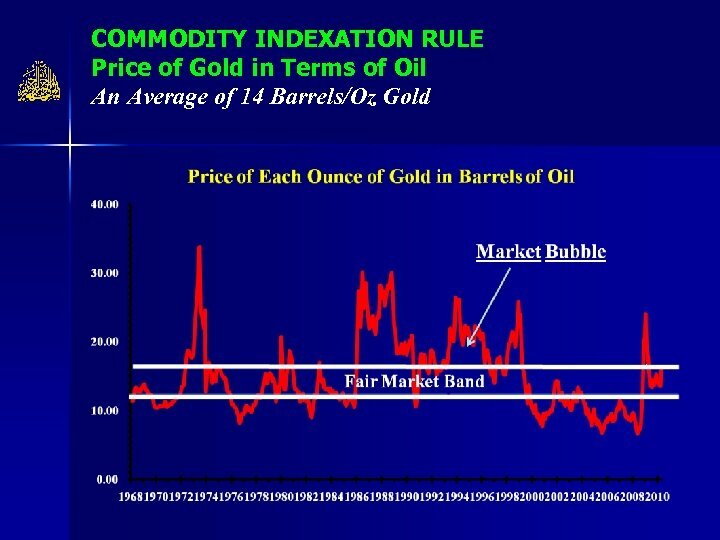 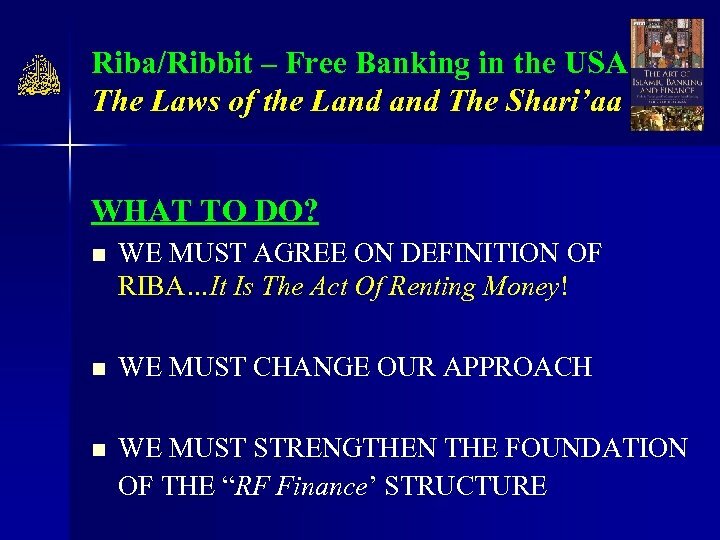 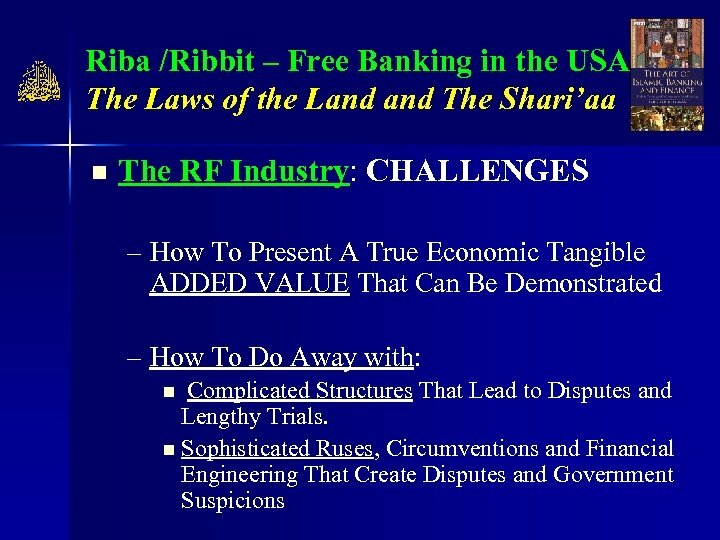 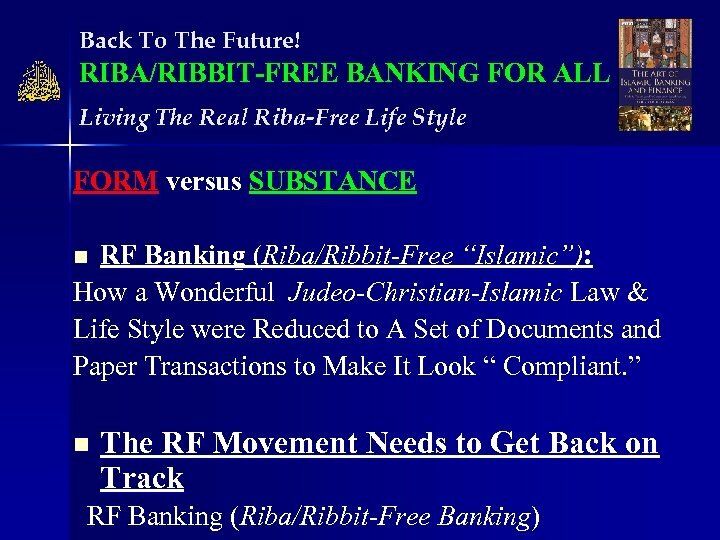 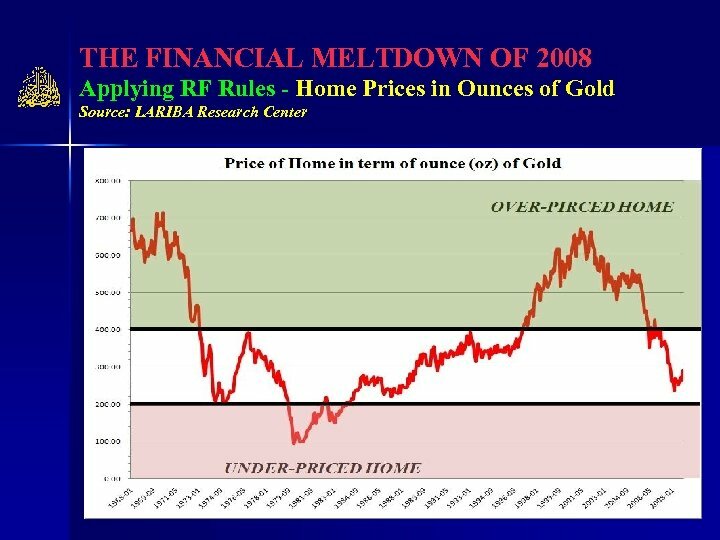 The RF Industry in the 20 th Century The Approach and Mechanics CHANGE The Local Laws and Contracts: Take Existing Products and Services and CHANGE Contracts to Make them Look Islamic…Financial Engineering. 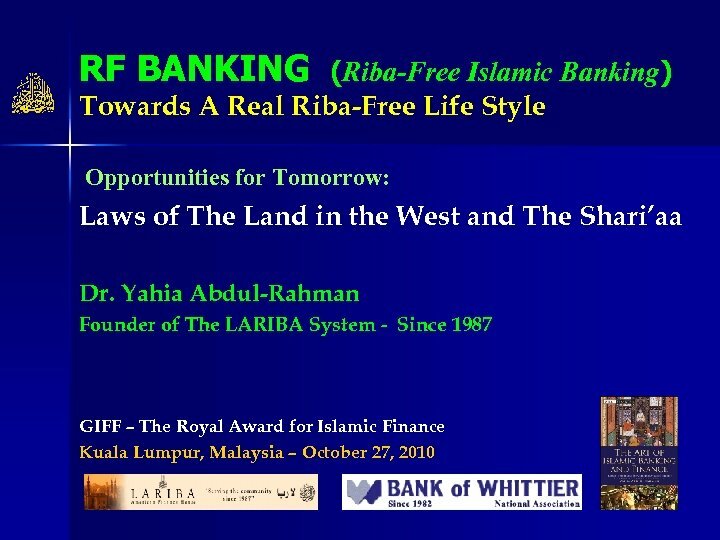 Lost In The Translation! 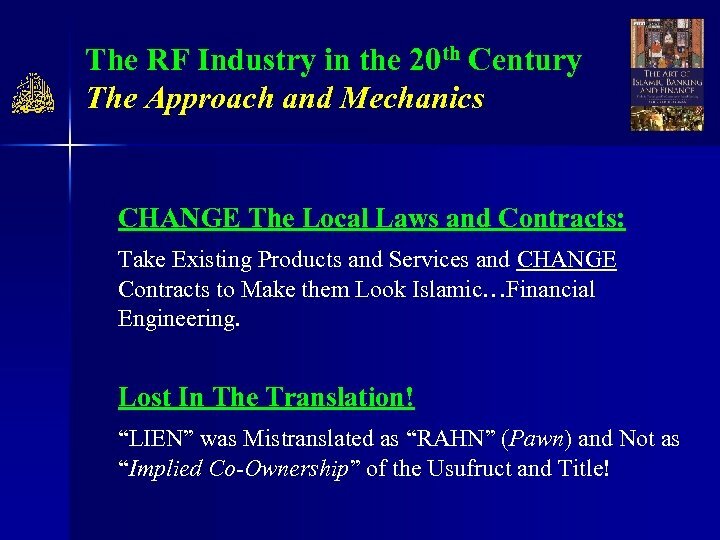 “LIEN” was Mistranslated as “RAHN” (Pawn) and Not as RAHN “Implied Co-Ownership” of the Usufruct and Title! 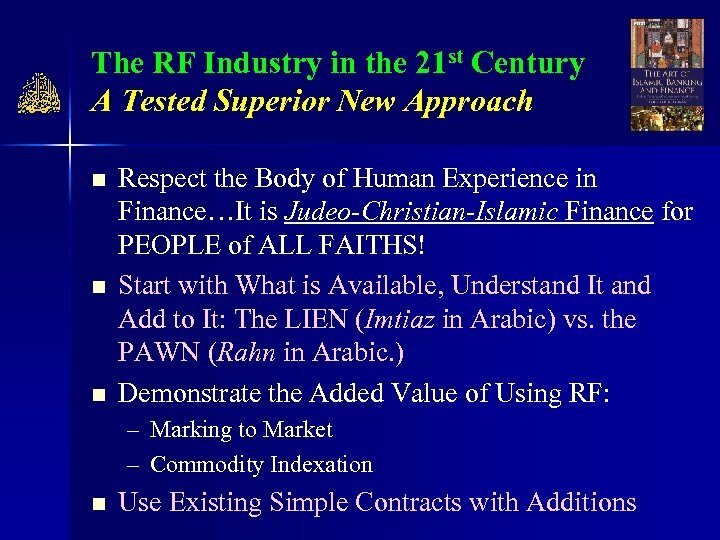 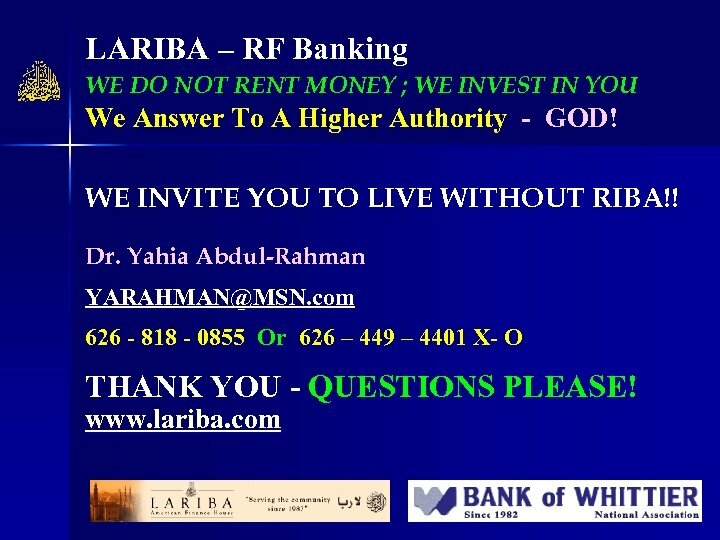 The RF Industry in the 21 st Century A Tested Superior New Approach n Dispute Settlement: – The System of Arbitration has Resolved Many Business Disputes in the US Using the Principles of the Faith (Jews, Christians and Muslims. ) 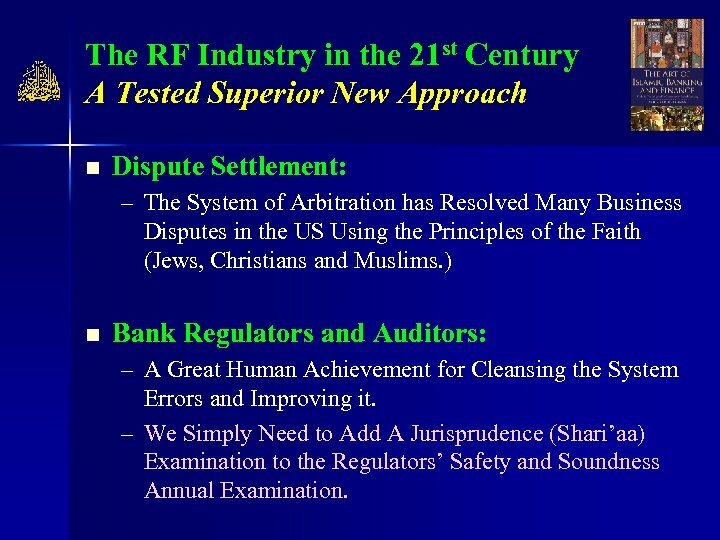 n Bank Regulators and Auditors: – A Great Human Achievement for Cleansing the System Errors and Improving it. 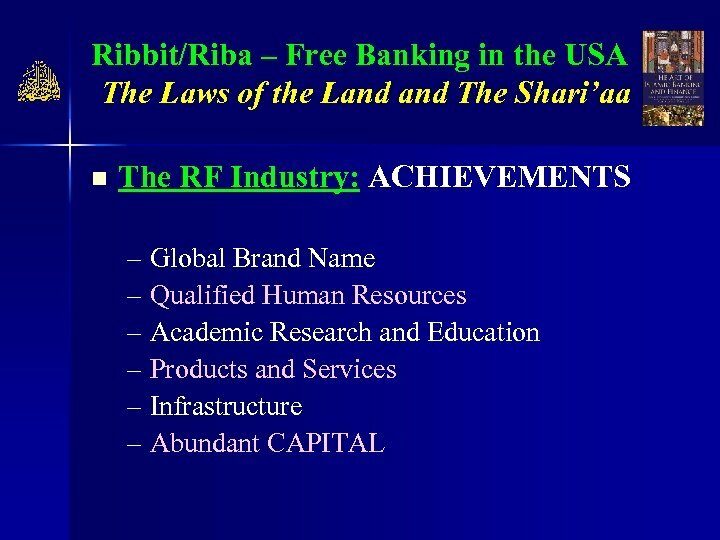 – We Simply Need to Add A Jurisprudence (Shari’aa) Examination to the Regulators’ Safety and Soundness Annual Examination.